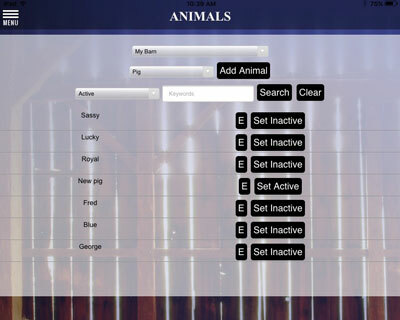 Stock Show Pro is an app designed to manage your show animals leading up to show time. Everything you typically track during show season on a white board, notebook, big chief tablet or maybe even a spread sheet will be available on an easy to use application on your mobile device. Monitor rate of weight gain and project the rate needed to meet target show weight. Post and adjust feed and supplement rations to alert all feeders to changes. Permanently record all animal demographics. Advertise Your Business on the Stock Show Pro App! We respect our customers' privacy. Any personal information you provide to us including your name, address, phone and e-mail address will not be released, sold, or rented to any third party entities or individuals outside of Stock Show Pro, and is used by Stock Show Pro only as a part of your account information as a user of the Stock Show Pro app. The Stock Show Pro app is one of the leading livestock barn apps, show animals apps, 4-H project apps, FFA project apps, stock show apps and stock show animals apps. 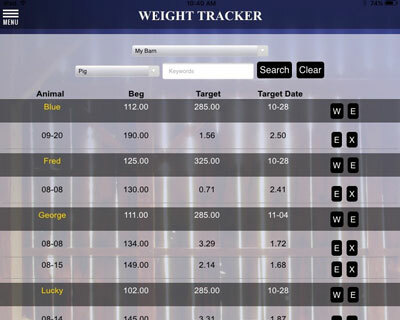 As a show barn manager with this show barn animal management app, you can track show animal weight gain. Are you looking for show animal feeding apps to track rate of gain, or animal chore apps and show animal chore apps that connect you with others on how to feed show animals? Our show barn apps that have been downloaded provide an average daily gain calculator. 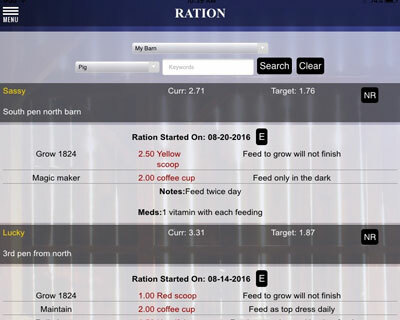 FFA student apps help with show barn management, barn task management, hog rations, sheep rations, goat rations, cattle rations, and are animal feeding tools, animal feeding apps, show ring weight trackers, and reveal show ring weight ranges.